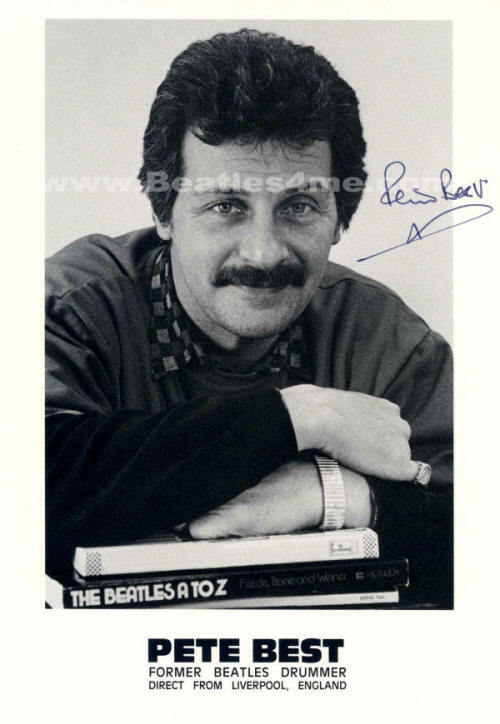 Authentic autographed photo by ex-Beatles original drummer Peter Best (pre-Ringo Starr). Signed on a 8 x 10 B&W Glossy Photo, w/Letter Of Authenticity from Hein's Rare Collectibles, as we met Pete Best in person to obtain this signed photo. Perfect framing!